I scored this sweater for only $10 at Gap the other day. I think I love this sweater that much more because of the deal. It's such a casual sweater and that was just the kind of style I needed for the weekend. I love the neon green with the grey. It gave enough pop without feeling crazy. I hope you all had a great weekend. I got to catch up with my family and friends and had a blast doing so. Here's to a great Monday! 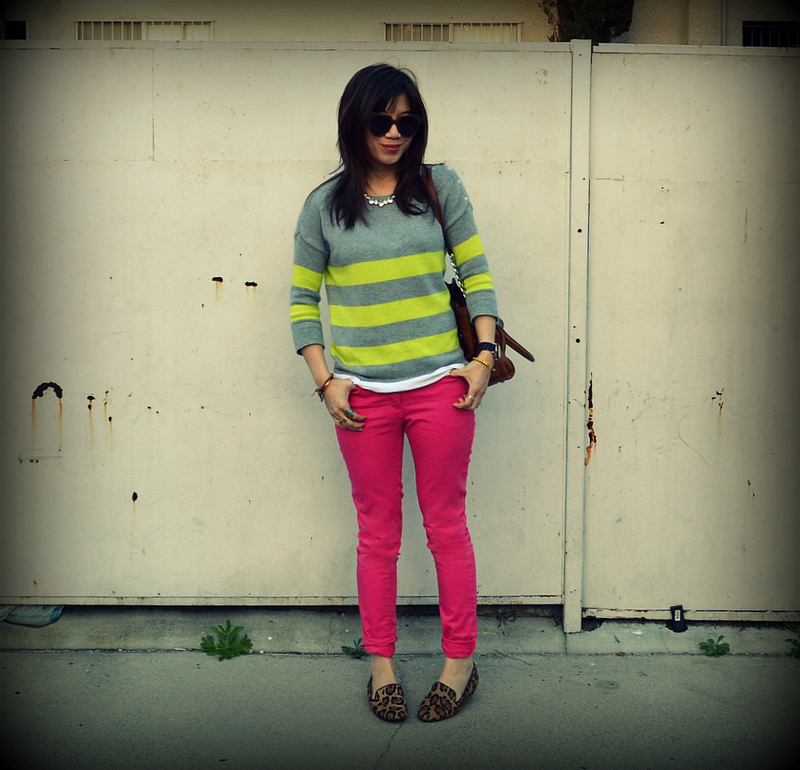 love this sweater with those pink pants - so adorbs! 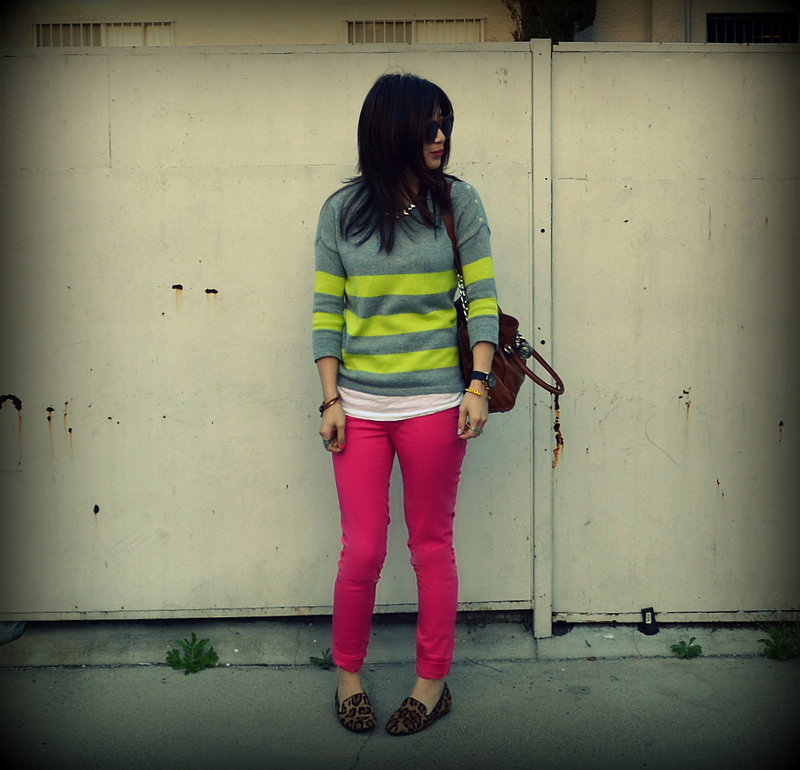 I have a similar one from gap I got a while back but its a fav :)! oh! Such a fun color combo! You are so bold and brave. 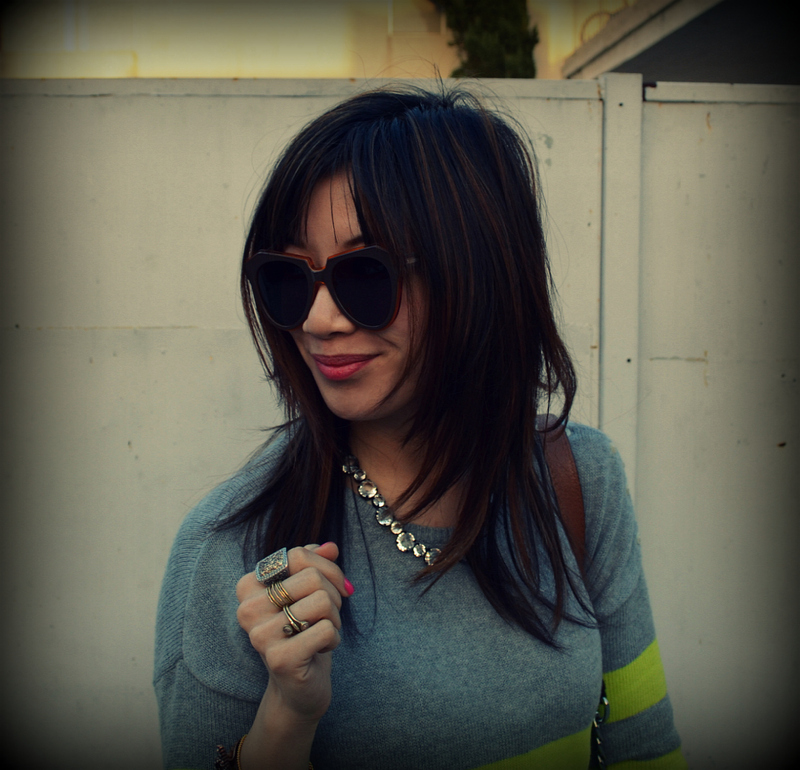 I love your mix and match style! i knew i should've gone to Gap this weekend lol! 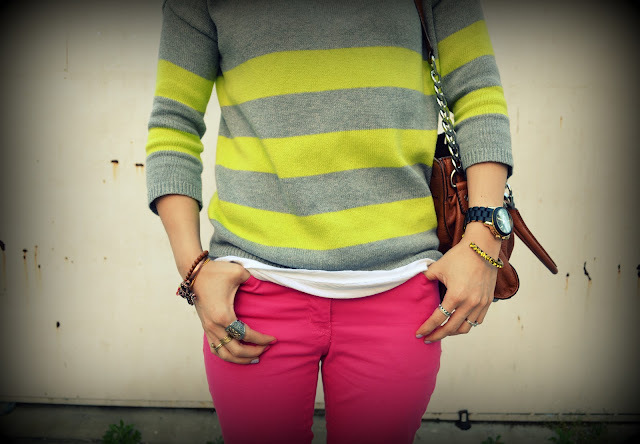 Love the pops of neon in the sweater to accent those jeans! I love the color combination here! So beautiful and bright. I love everything about this look. Hi Nancy! I just stumbled across your blog. I adore your style.. and absolutely LOVE this outfit. I may need to try to recreate it. :) But the temp has been rising here in Hawaii, so sweaters have been pushed towards the back of the closet. tee hee.